Fully equipped business centre and Conference Rooms in Bangalore (Bengaluru). Central location in the heart of the city at Neo Town,near Wipro Campus. 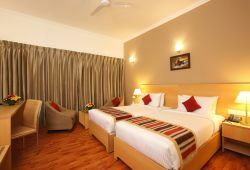 Enjoy luxurious settings and service apartments at economical prices and avail special offers & disocunts. Starlit Suites is one of the top most groups offering Service Apartments in Bangalore (Bengaluru), our apartments are a symbol of elegance and tranquillity offering decorated and spacious suites and rooms in Bangalore. In addition our services are immaculate and carefully curated, our chef's offer an assortment of scrumptious cuisine and flexibility of diet customisation. We believe in a high level of personalised services, and consider the specific requirements and comfort of each of our privileged guests. 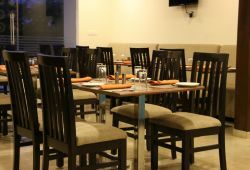 With the facility of modern conveniences and amenities such as Free high speed WiFi connectivity, fully equipped modern kitchens in apartments, and 24*7 power back up, we at the Starlit Suites bring to you exquisite integration of comfort, luxury & efficient services to ensure that you stay in Bangalore (Bengaluru) is one of peace and tranquillity. For travellers seeking a comfortable and pleasant stay in Bengaluru South, Starlit Suites is the solution. At the Starlit Suites, guests' needs and preferences are given prime importance and ultimate care for maximum comfort. We offer 126 Fully Furnished and equipped Premium Studio and Deluxe One Bedroom Apartments in Banglaore in the heart of Electronic City at Bengaluru. Our inventory of apartments and our level of service excellence sets us at a bar much higher than any other operators, thus making us the best provider of service or studio apartments in Bangalore (Bengaluru). Bengaluru (Bangalore) is the capital of the Indians state of Karnataka. Situated on the Deccan Plateau, it is known for its charming weather and it is home to some of the best technology companies and start ups in the world. It is often referred to as India's silicon valley. Bengaluru (Bangalore), the Silicon Valley of India, stands shoulder to shoulder among the best business cities on the planet, it is also the head office for the homegrown Global technology giant Infosys. Celebrated for it's high rises and open green spaces, Bangalore (Bengaluru) is home to a wide range of companies from various sectors, a few programming organisations, healthcare companies, manufacturing and various data science companies. Other than being the IT capital of India, Bengaluru (Bangalore) is a renowned travel destination as well and draws in a lot of tourist travel as well. It is frequented by both national and worldwide tourists, because of its lively culture, stunning nightlife and shining attractions. Some favourite traveller and tourist spots in Bengaluru (Bangalore) are the Vidhana Soudha, Bengaluru Palace, Vikasa Soudha, Seshadari Iyer Memorial, Vikasa Soudha and Tipu Sultan's Palace among others. Aside from these must visit places in Bengaluru (Bangalore) , tourists to Bengaluru (Bangalore) should also visit places of historical interest as well such as the St. Mary's Basilica which is the most seasoned church in Bengaluru (Bangalore) and draws in countless during the St. Mary's Feast. With decorative themes, curves and recoloured glass windows, this congregation mirrors the Gothic-style engineering the church is definitely a marvel of beatuy and a must visit when you come to stay in Bengaluru (Bangalore) or while you are living with is in one of our service apartments in Bengaluru (Bangalore). If you are an outdoors or seeking adventure sports or trekking in Bengaluru (Bangalore), then you can participate in a scope of outdoor activities including climbing at Nandi Hills, hiking and trekking at Bhimeshwari and Camping at the Gunjoor Lake. Also for the religious travellers the city has a liot to offer and when staying in our serviced accommodation in Bengaluru (Bangalore) we can arrange for your tours to such places of religious importance such as visit to the VenkataramanaSwamy Temple, or a visit to the Maha Bodhi Society Temple, Ragi Gudda, Meenakshi Sundaram Temple and different holy places situated in the city. So what ever is the purpose for a visit to this beautiful city, make sure that when you search for serviced stay in Bengaluru (Bangalore) give the Starlit Suites a try as we are known as one of the pioneers in this sector and offer some of the best service apartments in Bengaluru (Bangalore).